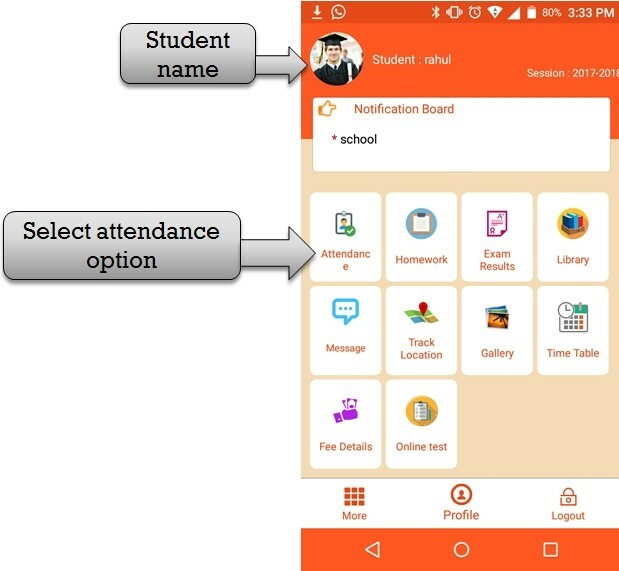 Step:1st-ZeroERP School management App Software- Student check attendance status please select attendance option then student check attendance in every subject class . 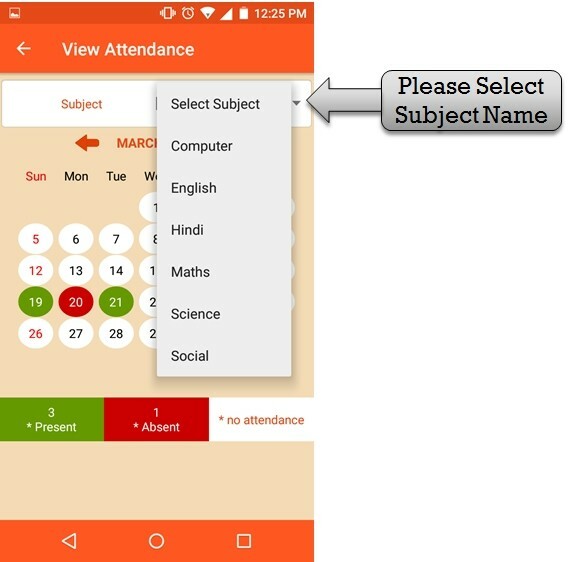 Step:2nd-ZeroERP School management App Software- Student check attendance status please select subject name then display student attendance status . 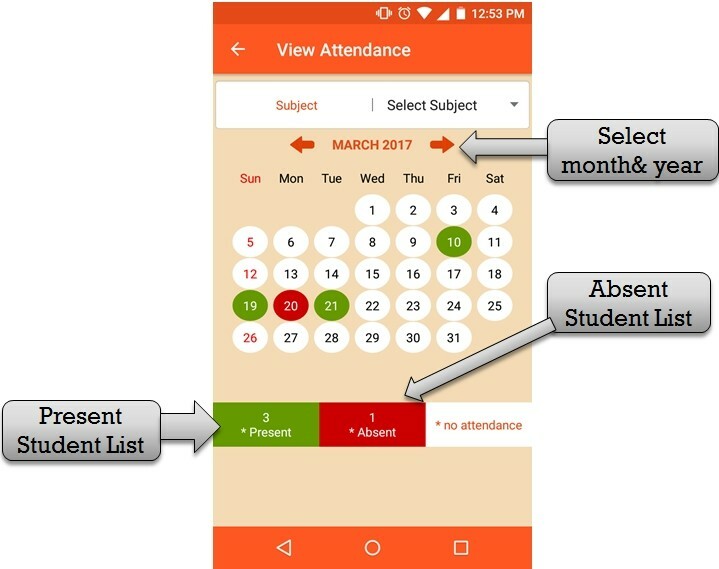 step:3rd -ZeroERP School management App Software - Showing student attendance status green sign mean (Present) and red sign means (Absent) . student check previous and current month attendance .